Ramblings about a few of my HEAVENLY pastimes. 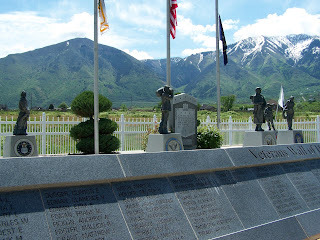 As a little girl I remember visiting the cemetary on Memorial Day. 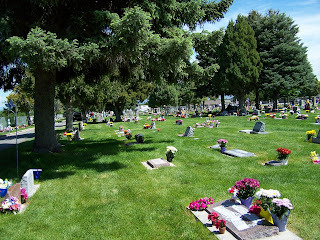 I remember standing by the headstones and my mom would tell me stories of the people buried there. We were keeping the connection from the past to the present going strong. 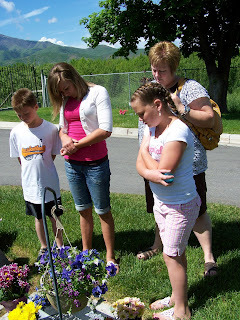 I remember looking at the arrangements and all the different ways people honored those that had gone on. The flowers were my favorite part. I still love the flowers dotting the grass adding bright splashes of color to an otherwise somber setting. I still love standing by the headstones and thinking of the people I once knew and the stories of others I never knew. For most people Memorial Day is about the veterans, and I too honor those that have given their time, energy, and even their life. However, Memorial Day is much more to me. It is a way to honor my heritage and remember those that I have laughed and cried with, lived for and loved. 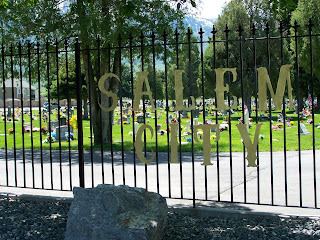 Today we went early to the cemetary. I took my camera along to capture some of the things I love about Memorial Day. I'm a small town girl that loves the mountains, reading, papercrafting, and being with those I love. Smile: MFT Flower Silhouettes Card Kit AVAILABLE! Concepts in Coloring Classes On the Road!